Maybe you are just hearing hyposmia for the first time and wondering what it is all about, you are not continue in your worries. It is simply decrease in someone’s ability to perceive or smell as well as detect odor. Anosmia is a related condition, in which someone will not be able to detect odor at all. There are lots of causes to this smelling disorder and there is also well known treatment to this problem. A Hyposmia is defined as condition where an individual experiences low or even complete inability to detect odor. There are different health factors that can cause the decrease or complete loss of ability to perceive odor. Some of the health factors can easily be treated in order to avoid further loss in ability to smell while some smell loss can be permanent. Nonetheless, the permanent loss in ability to smell things around at all are called anosmia is not common. 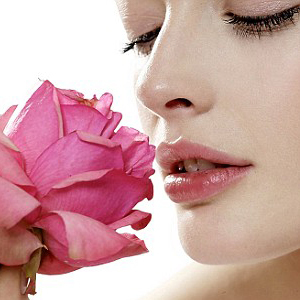 Olfactory problem is the major cause of this smell disorder. Also, this disease is also known as the earlier signs or symptom of Parkinson disease where the body will be vibrating uncontrollably. The primary symptoms of this smell disorder are simply loss in ability to smell things around or reduction in ability to perceive an odor. This disorder can be in milder form where it may not even be noticeable at all. It comes in several forms including temporary loss of ability to smell, which the case is when there is nasal congestion. If you have its severe form, you will not even detect sharp odors around you such as burnt food, spoiled food and even smoke. Several factors are known to cause this disorder but the allergies are known as the commonest primary causes. Allergies can cause partial or complete loss in ability to smell things around. But, the issue is that sometimes even when the allergies are well treated the patient will still experience declined in ability to recognize odor or the person may even experienced diminished sense of smell. Apart from Allergies, there are other things that can result to this disorder. Trauma to the head like in the case of accident. Base on the severity of the trauma patient may recover the normal sense of smell after the trauma has been treated. If prescription drug you took is the reason for this disorder, you can meet your doctor to prescribe another drug that can help reduce the effect and recover your sense of smell.If the trauma caused by auto accident or other accidental injury is the reason for this problem, you need to treat the injury in order to have the disorder corrected. Also, if allergies or nasal congestion is the reason for the problem, all you have to do is to try as much as possible to treat the allergies or decongest your nasal cavity in order to remain hyposmia free.